This has been released before Grids 1.8. Now, Grids has this editor functionality built-in. We leave this prototype here for its history. 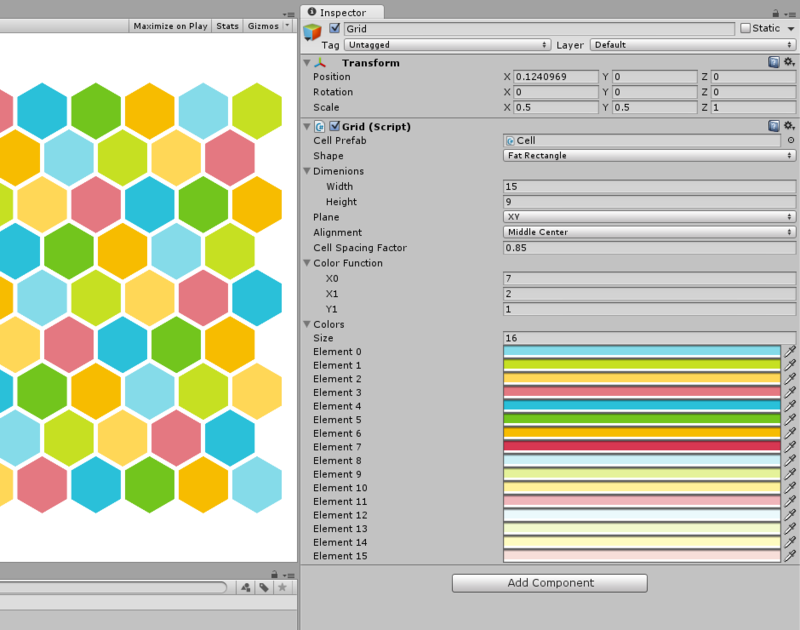 Based on some feedback, it seems like making it possible to see and edit grids in the Unity editor could be very useful. This prototype shows what it could look like, and how it could work. Download it to check it out. Let us know what you think! One is a simple test, where you can build a level by configuring the grid, and setting the various cell types. In this version the cell types are integers, but in an actual game these will be the actual types for the different cells (for example, if your grid represents a landscape, the cell types might be “water”, “sand”, “grass”). The other shows how to use the system to create the game Lights Out. Each cell has a boolean that you can switch on or off. You can use this to design the Lights Out puzzle. The grid data and cell data (which makes up the “level data”) is saved with your scene. This prototype uses a reduced version of grids – it does not have all the functionality. We are still figuring out how this should work exactly. It is likely to change before we release it “officially”. To understand how the color function work, see What are grid colorings?